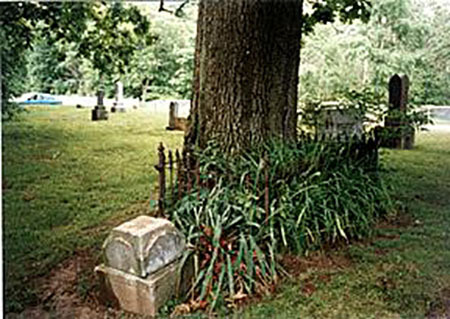 A tree grows directly from the grave of a "witch" buried in this village cemetery. Many local residents believe that if the tree is cut down or destroyed, the ghost of the witch will leave her grave and seek revenge on those who caused her death. Chesterville is a small town that no longer appears on maps of the state. The village still exists though and is located just west of Arcola, which is in the heart of Illinois Amish country. Most of the remaining residents of the town are of the Amish and Mennonite faiths, religious orders that shun the use of electricity and modern conveniences. Located just outside of the village, and across an ancient, one-lane bridge, is the small Chesterville Cemetery. It is in this secluded graveyard that a traveler can find a "witch's grave". The story goes that it once belonged to a young woman who was regarded as a witch in the community. 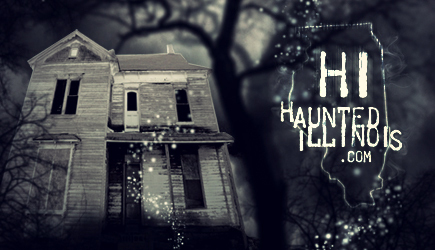 Her ghost is rumored to still appear nearby. According to the stories, the grave belongs to a woman who once lived in Chesterville, although her name is no longer recalled. She was very liberal-minded and liked to challenge the Amish faith, speaking out against the treatment of women in the area. Thanks to this, she was branded "a witch". She continued to disobey the elders of the church and was banished. As few ever questioned the decisions made by the church elders, rumors quickly spread through the community that she practiced witchcraft, was a servant of the devil and worse. Soon after, she disappeared. A short time after she vanished, the woman was discovered dead in a farmer's field. Regardless of what may have happened, the authorities ruled that her death was from natural causes. The body was placed in the local funeral home and people from all over the countryside came to view the "witch's body". They were terrified that she would come back to life. Eventually, she was buried in the Chesterville Cemetery and a tree was planted on her grave so that her spirit would be trapped in the tree. Today, that tree still stands and many still believe that if the tree ever dies, or is cut down, the "witch's" spirit will escape and take her revenge on the town. A fence was later placed around the grave site to make sure that people stayed away from it. Since that time, the witch has allegedly appeared to passersby and visitors to the cemetery, although thanks to the tree, she is confined to the area around her grave. A number of stories have been told about this cemetery, involving actual sightings and reports that lead some to believe the story of the "Chesterville witch" may not be just a folk tale after all! Chesterville is located just west of Arcola, Illinois. The cemetery can be found by turning north at Chesterville and then taking the fork in the road to the right. Follow that road across the bridge to the cemetery.